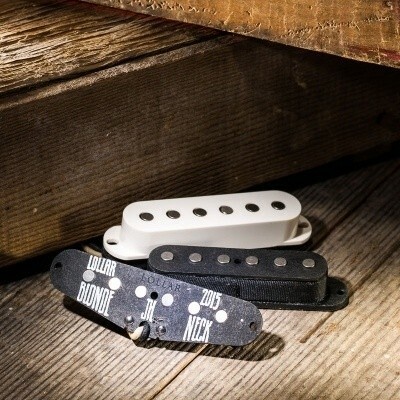 Our Strat Blonde pickups are bright yet smooth. With a scooped midrange, full bass, and clean attack the medium low output sounds glassy and spanky. When played softly you get a full, round tone. Hit it hard and the attack and treble leap forward in the mix. The Strat Blonde works especially well with overdrives. 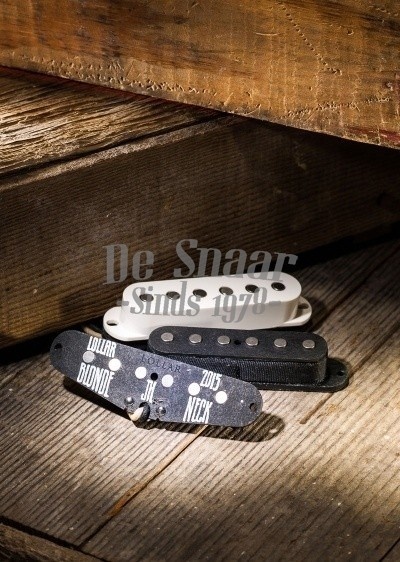 Features Alnico 2 flat poles, scattered wound wax potted coils, and vintage style cloth covered lead wire. Middle is RWRP for humbucking operation in positions 2 and 4. DC: Neck 5.6K, middle 5.8K, and bridge 6K.